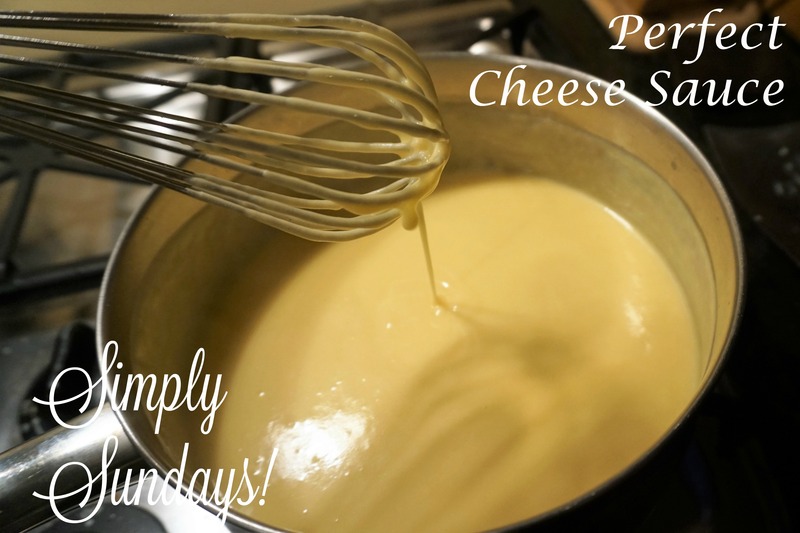 Perfect cheese sauce – Simply Sundays! Tried and true, this is the easiest, most consistent cheese sauce I have ever made. And I’ve made quite a few! Important note: I prefer to buy cheese chunks or blocks and shred myself. The pre-shredded cheese never seems to melt as well. Maybe the added preservatives? Not sure So, to be on the safe side, I spend the extra few minutes grating my own cheese. Not to mention, it’s less expensive! Wallah! You now have a cheese sauce worthy of, well, whatever you think deserves something so delicious! We’d love to hear what you’ve enjoyed the Perfect Cheese Sauce on… please share!